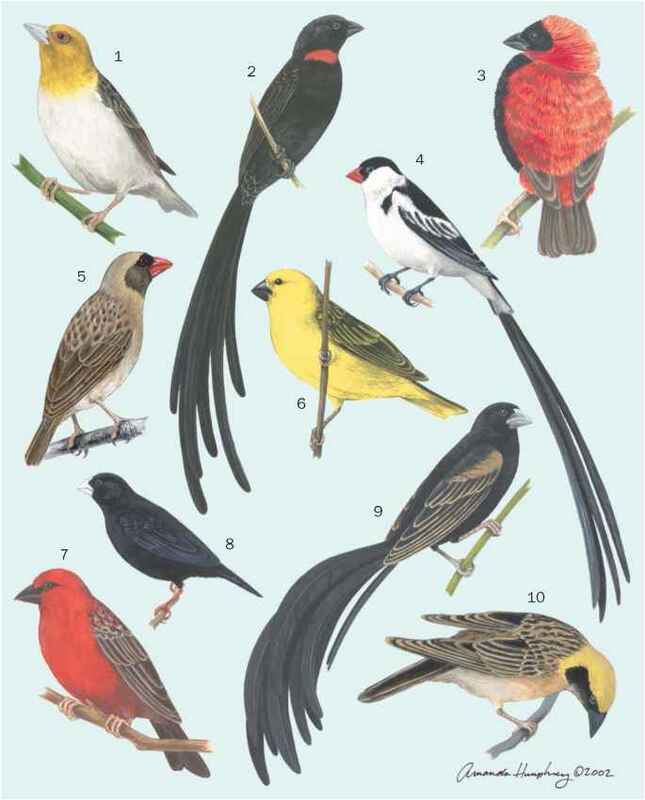 Although some species breed as pairs, most are cooperative breeders. Helpers consist of young males, rarely females, from earlier years. There is often a close relationship among neighboring groups, with males often only dispersing one or two territories from their homes, and helping may occur among groups. The breeding season ranges from August to January with repeated attempts, and sometimes two broods reared in a year. All species nest in tree hollows, at which females perform an unusual behavior of sweeping snakeskin, in sect wings, or even plastic around the entrance. Clutches are usually two or three white to pinkish eggs with brown markings. Incubation takes from 14-24 days, and fledging from 25-27 days.